A drone delivery system, known as Zipline is delivering life-saving medicine to Remote locations. Rwanda is one of these places. Since October 2016, they have been receiving blood, plasma and platelets to over 20 hospitals and transfusion clinics. Since the Drone was launched, Rwanda has received 7,000 units of blood from the drone missions. A third of these have been received by immediate, critical life-saving situations. Currently, Zipline delivers more than 20 percent of Rwanda’s blood supply. 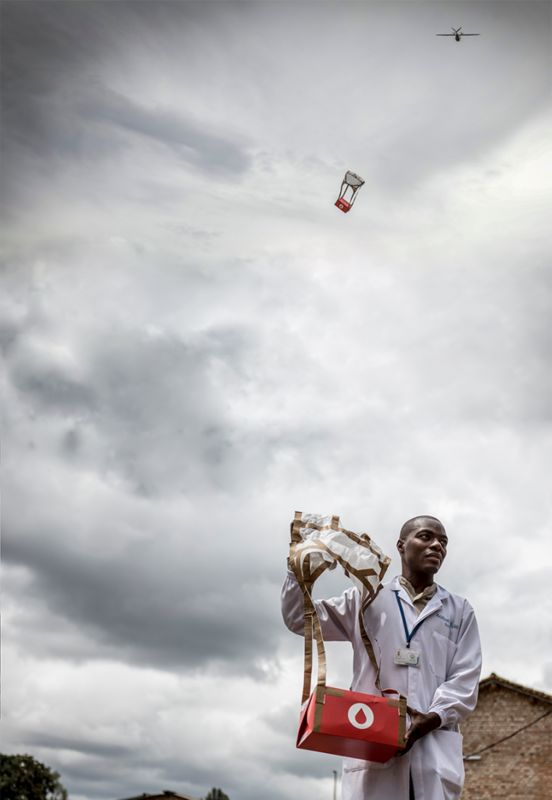 The drones, which drop boxed packs of blood slowly to the earth via a paper parachute, now deliver 20 percent of blood supply outside the capital Kigali. In one case a 24 year old woman bleeding out after childbirth was saved after several emergency flights in a row delivered more blood than is contained in one human body, which all transfused into the patient. This drone delivery service is transforming Rwanda’s medical supply chain by making sure hospitals have access to blood products. In turn this has helped reduce waste and spoilage by over 95 percent. Zipline is opening up a second distribution center in Rwanda, to facilitate the entire country, instead of targeted locations. The company has been focused on Rwanda to date, although they hope to extend their services to the United States. Billions of people worldwide lack access to critical emergency medicine. In east Africa, these medical drones bring people the medicine they require, when they require it, in a way that reduces waste, cost and inventory while increasing access and saving millions of lives. The company Zipline, has been working to improve technology and are ready to start saving lives in America and around the world. Drones have also started to be used in Tanzania. In the first quarter of 2018, Tanzania’s government began using drones to make up to 2,000 deliveries per day to more than 1,000 health facilities. The service is critical in times of unexpected or high demand, bad weather or for small but critical orders. In Madagascar another U.S. Company, Vayu, has completed drone flights to deliver blood and stool samples from rural villages with support from the U.S. Agency for international development. India is another country that has started using drones to deliver blood to remote areas. India’s main issue, is they have a blood-waste problem. Despite the fact that the country has been facing a deadly blood shortage for years, over half a million units of usable blood are discarded by blood banks and hospitals each year. The issue? Inefficiency. Bloodstream aims to pick up the slack armed with their fleet of custom made drones. In a partnership with India’s Life Line Blood Bank, the company aims to revolutionize the health- supply chain and bring much needed medical resources to hard-to-access rural areas. Bloodstream has already made successful deliveries to Karnataka, West Bengal, and Nepal.